Nowadays it’s quite easy to decide on a countertop. All you have to do is decide between marble, granite, wood, quartz, glass, stainless steel, and many other options. But once you managed to decide on the materials, things get simpler. You’ll only be surrounded by a sea of colors, patterns, and textures out of which you need to select one option that fits your cabinets and the general aspect of the kitchen. It all sounds effortless, right? Well, when you’re the one who has to do it it’s no longer as straightforward. The task becomes downright downing because our mind can’t cope with what seems to be an infinite number of choices. So, to make the shopping for countertops less baffling, we put together a guide that will help you start shopping with a strong idea of what you want. Also, we’re going to make a few recommendations, based on advice we got from interior design specialists. The features discussed below are meant to be used as a guidance system, to narrow down the plethora of available opportunities. While not exactly a feature, the budget is paramount in this situation. After all, you could waste time and consider expensive options such as marble or glass, but in the end, your budget won’t allow it. On the other hand, if you know the amount you can spend, you know which options to consider. For instance, a butcher’s block countertop is a very popular and affordable option. However, if you’re looking for something more elegant, you may want to consider laminate or marble. The difference stands in the amount you’re looking to spend. Yes, we’re talking about kitchen countertops, but not everyone uses theirs in the same way. If you’re a mother of four and you also care for your elderly parents, you may be cooking all day long. The same applies if you live on a farm and, besides regular cooking, you also prepare your own canned foods. 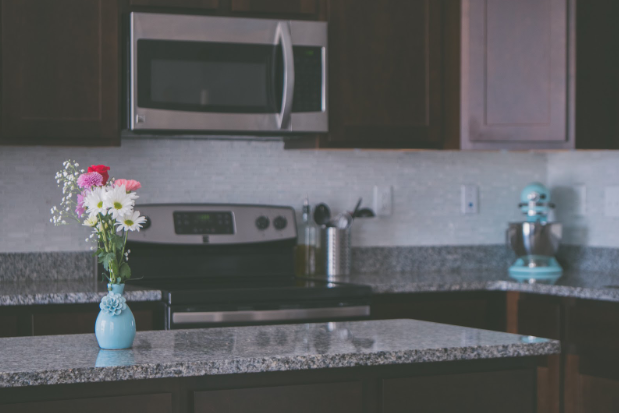 This means your countertop will have to endure heavy cooking tools, all sorts of sharp objects, food residue, spills, high or low temperatures, and so on. On the other hand, if your kitchen is only being used on weekends, and the only thing you’re cooking is milk and cereals, the countertop will have an easy life. The basic idea is that you should know how the kitchen will be used in the following years. This will help decide on other important features such as durability, color, and maintenance needs. 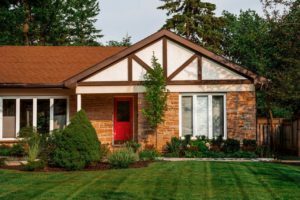 The fact that there are so many materials available on the market, allows homeowners the possibility to select the durability they need. For instance, granite is one of the most durable materials, but it requires some tending to (it needs to be resealed regularly). On the other hand, a material like laminate looks great and doesn’t need too much attention. Still, it is not as durable, especially in a household where cooking is a daily occurrence. Durability also makes reference to resistance in time and the occasional rogue knife that can lead to chipping. Other materials (such as laminate or concrete) are sensitive to heat or have other weaknesses (like marble with edging). So, it all comes down to the type of activities you’re performing in the kitchen. Each material comes in a wide selection of colors and patterns (especially natural stone). So, to narrow down your options, all you need to do is establish a theme for the kitchen. If you’re not artistic or good with interior design, there are lots of online tools you can use. However, for the kitchen is best to have only a few color combinations. Of course, monochrome kitchens are considered modern nowadays, but you may get bored after a while. In our opinion, the best way to avoid visual boredom is to use a splash of color. This can be set by the cabinets, the floor, or the countertop. The secret is to find a binding element that brings everything together. For instance, a light marble countertop can go well with dark cabinets and floors if the veins are dark. On the other hand, a white kitchen can become interesting if the countertop is in a dark color. To balance things up, make the cabinet handles in the same dark color. Finally, before you choose the material, color, and pattern, it’s time to consider maintenance costs. Each material has its specific needs, and if you want it to look great several years from now, you will have to apply them. For instance, both marble and granite require regular resealing while the butcher block needs oiling. These are only several examples and it’s best to do your homework and learn everything there is about your favorite material(s). As promised, we’ll also provide some recommendations based on tips we received from specialists in interior design. Thus, if you are on a limited budget, we recommend choosing either laminate, solid surfacing, or butcher block. While these materials don’t need much maintenance, they are more sensitive to scratches, heat, and punctures. Furthermore, once damaged, there’s not much you can do to fix them. For a medium budget, we recommend quartz, and/or granite. These materials look amazing in any kitchen, are durable, and don’t need too much maintenance. However, granite is a bit more sensitive to chipping around the edges if heavy things are dropped. Finally, if you want a luxurious feel or a unique approach, you can use materials such as concrete, glass, or marble. They are durable, look gorgeous, and can change the way your kitchen looks. However, they are also a bit more fragile and need to be maintained in order to look good over the years. Finally, keep in mind that each of these materials can be customized due to various finishing and coloring techniques. Furthermore, countertops made of natural stone (such as granite, marble, or quartz) will have a unique look due to imperfections in the stone, color combinations and beautiful veins that embellish the material.